As we can see there are a number of different nutritional components in the Aloe and importantly Amino Acids is one of them. Research has suggested that a supplement of Isoleucine may infact help with symptons of ME, because of its way to reduce levels of tryptophan in the brain. Valine is recommended to be taken with Isoleucine and Leucine. It has been seen to reduce the symptons of ME by simply not allowing the levels of trypotophan into the brain. Commonly used with anti-depressants, tryptophan produces serotonin in the brain. The level of tryptophan in the brain is inhibited by Leucine. It’s been found when taken with isoleucine it can lower Chronic Fatigue. A study that was conducted showed that there were reduced symptoms of clinical depression when threonine was supplemented into the diet. For those that had clinical depression had low levels of Threonine. Used to fight against allergies like hay fever as it is able to reduce histamines. Metabolised effectively when taken with Vit B’s. Studies have indicated that it is able to help with symptoms of the herpes virus. People involved in a trial taking Lsine supplements showed a reduced amount in the frequency of outbreaks ie genital herpes and cold sores. In studies that have been undertaken, it has been found that a supplementation with L-glutamine is infact able to quicken the repair of stomach linings that may be damaged by alcohol consumption whilst at the same time curving the body’s crave for alcohol. In research it has been seen that Aspartic Acid can be beneficial for cancer patients who have had radiotherapy mainly because it helps red-blood-cell-producing organs to regenerate after the radiation exposure. People who do a lot of exercise or who are on low-fat or high-protein diets definitely need more alanine, as do diabetics so they can produce enough glucose. Helps the liver to break down toxins and is also very helpful in removing excess heavy metals from the body. 2 crucial memory neuro-transmitters are released by the supplementation of Serine, that being acetylcholine and dopamine. It’s been found in research that supplementation of Serine can also help with improving our memory. Believed to be responsible for increasing healing time in a wound; Proline taken with Vit B3 and Vit C is also known for decreasing some conditions called gyrate atrphy or lesions of the eye. Arginine is able to relax blood vessels, aiding those with high blood pressure and angina problems. Arginine is also used to make muscle tissues. For those that suffer from allergies and hay fever need to make sure that their histidines levels are not too high. It’s been recorded in some studies that those who suffer from rheumatoid arthritis have low levels of histidine by supplementing join inflammation can be reduced. This is essential for healthy bodies, especially for women. Glutamic acid is used in the producing of folic acid. There needs to be a balance of Glutamic Acid in the body or other problems can immerge eg. Seizures. This is required for the nervous system to maintain equilibrium. Asparagine is also required for the transforming of amino acids from one form to the next. Glycine supplementation can be very beneficial for those suffering from the effects of gout as it helps break down the uric acid in the kidneys. For those who suffer from Parkinson’s disease, tyrosine which makes the neuro-transmitter dopamine is found to be quite low. Tyrosine can also increase the production of the hormone noradrenaline which is found to be quite effective in the reduction of stress levels. Aloe Vera really is a TREASURE CHEST for our mental and physical health. 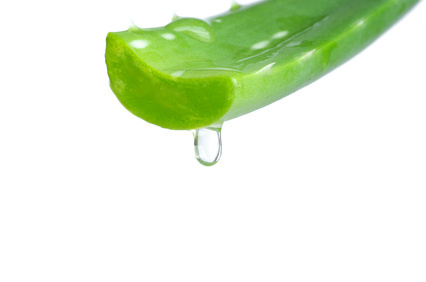 Make sure you use a pristine quality Aloe Vera and start digging into it today. Hello.This article was extremely helpful and motivating, particularly because I was investigating for quality issues on this matter of aloe vera last Thursday. I hope more blogs like this will come into existence as I want to know more about the wisdom of using quality aloe vera as once had reaction to toxic aloe of poor quality cheap variety and found this one works and is safe.Thanks. Hi there! I just wish to give a huge thumbs up for the great information you’ve gotten here on this post. I shall be coming back to your blog for more soon. Aloe is the only safe thing that does not upset my tummy as long as good pure one.